The CK230 is popular water cooled, light weight Tig torch. Its small size and light weight makes it a popular choice for many applications where torch control is important. The CK230 has the highest amperage capacity at 300 amps whilst using the more compact 2 series torch head accessories. 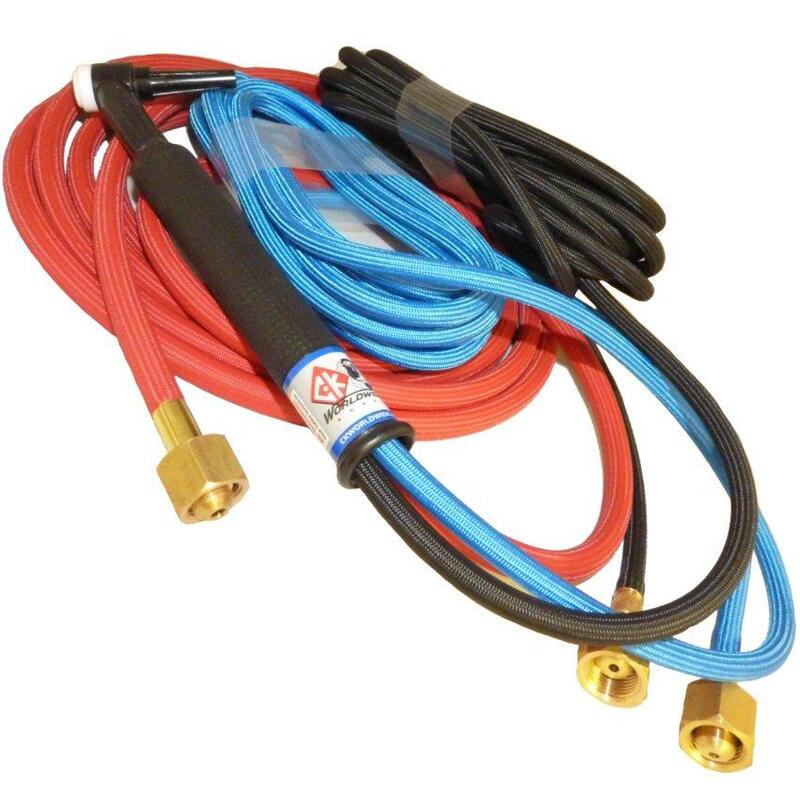 CK2312SF water cooled Tig Torch 300 amp 100% rated, 4m Superflex cables with 3.8" BSP fittings. 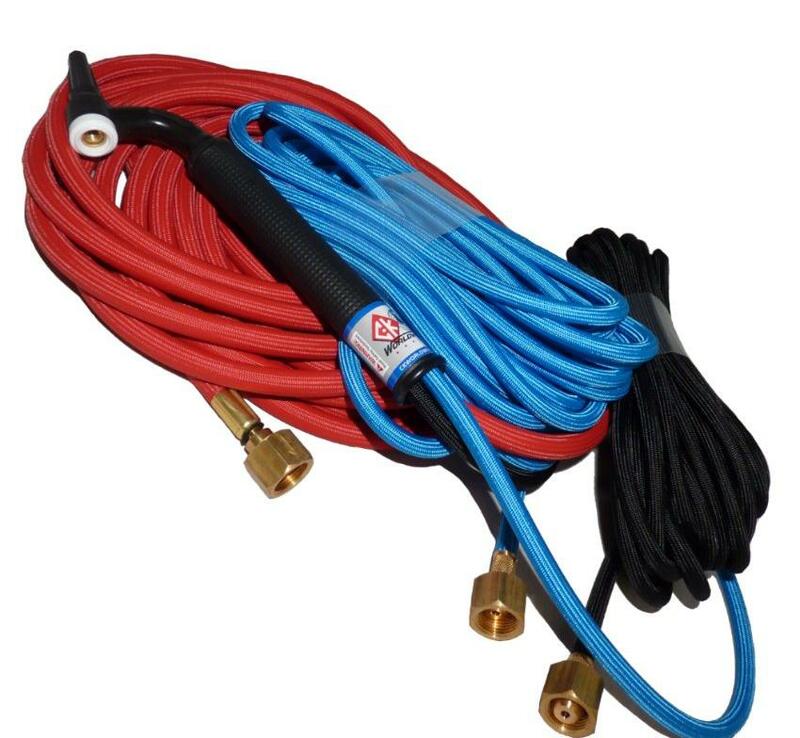 CK2325SF water cooled Tig Torch 300 amp 100% rated, 7.6m Superflex cables with 3.8" BSP fittings.